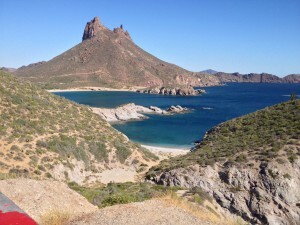 One of the best seaside locations located within a day’s drive from the US Border is San Carlos Sonora. San Carlos is just north of Guaymas and a little over one hour south of Hermosillo. Since San Carlos is within the Sonora Hassle-Free Zone, a Temporary Vehicle Import Permit is not necessary to visit. If you’ve never traveled to Mexico in your personal vehicle before, please see this important article to be informed. This Idyllic and sleepy seaside town is a perfect destination for countless reasons. Perhaps it’s best to start with the natural beauty. San Carlos is on the northern east side of the Sea of Cortez. It features a dramatic desert and sea combination. Crowned by Cerro Tetakawi, whose peak looks like a scorpion ready to strike, the region provides great opportunities for any traveler. Whether you’re into diving, paddle boarding, parasailing, sailing, whale watching, lounging on the beach, hiking, off-road action, or simply enjoying some excellent food, San Carlos provides all of this, and more, in a relaxed and unpretentious environment. Warm sandy beaches begin immediately after passing the second roundabout. Most are quite easy to get to, but some of the most incredible require a short hike or searching around. For example, if you continue along the main road to the Mirador turn off on Paseo Isla del Tiburon and park near the Mirador, you can hike down to a beautiful, picture perfect beach. Do remember to pack away all of your belongings and trash as it would be horrible to spoil this land by one’s laziness. Dining in San Carlos is desirable, and several places stand out. For dinner, a great option is Tortuga’s. Located at the Y intersection leading to the marina, you won’t be disappointed. The food is excellent, and the drinks are cold and perfectly prepared. The staff is also very friendly. 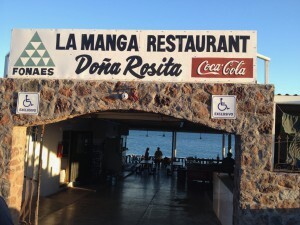 A secret that only locals know about is ‘Dona Rosita’ in La Manga. Dona Rosita serves up seafood caught that day in an open-air restaurant, on the sea. 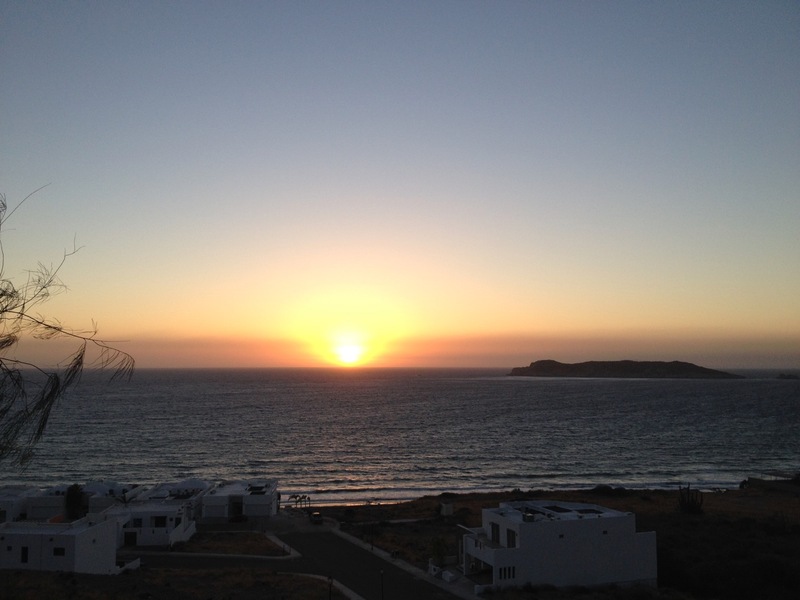 One must go beyond the paved road into the fishing village of La Manga. 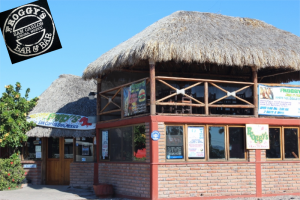 Near the end of the roadway, you’ll find Dona Rosita. The food is excellent and not Gringo-priced. They do not serve alcohol, so if you wish to enjoy beer or wine, stop by the Oxxo or Super Ley and pick some up. The grilled huachinango (Red Snapper) is phenomenal. Preparation can take up to 45 minutes, so order up some botanas or appetizers. For breakfast, locals prefer Rosa’s Cantina. Lunchtime also hosts some great options. Look for cars with Sonora license plates in the parking area. That’s where you’ll find the best food. There is a great Thrifty Ice Cream shop serving up the same ice cream that you probably grew up eating, as a kid. 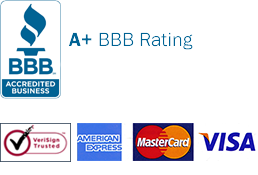 There are numerous lodging options from the very inexpensive (Hotel Creston) to the big resorts (Hotel Plaza San Carlos). 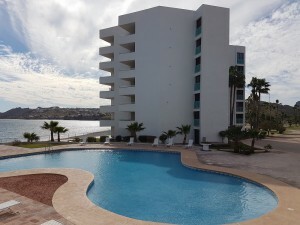 One of the best options for visitors is Posada Condominiums and Resort. It’s a beautiful set of studio and multi-bedroom condos available for rent. They are perfect for a family or couple as they include a kitchen and highly desirable amenities including a great pool, fabulous beach, a beachside restaurant and bar, views of Tetakawi and proximity to nightlife, markets, and restaurants. Nightlife is a whole another matter in San Carlos. There aren’t too many options for a party atmosphere. 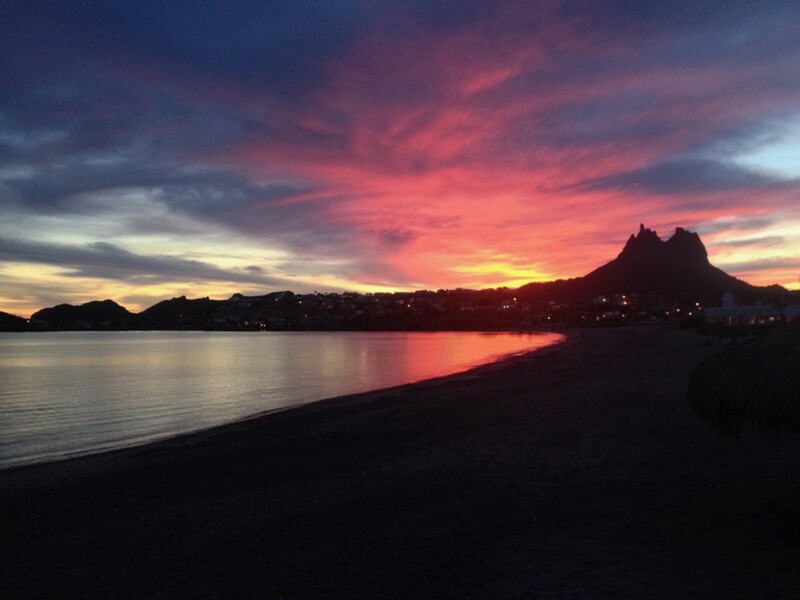 Most of these places will be found in nearby Guaymas. In town, Froggy’s is your best choice. Froggy’s features dancing and live music on the weekends and plenty of cold adult beverages to keep you courageous. Getting to San Carlos is easy. Follow Mex 15 south of Hermosillo until you see the sign for San Carlos. The painting on the road is tricky. The white line on the right of the highway remains solid, but trust the sign and follow it to the right. Then count up the KM marking pillars. It’s impossible to get lost here, as there is only one road in and out. Whether you want a peaceful seaside getaway, an awesome affordable family vacation, or simply a romantic weekend with the person you love, San Carlos Sonora is a great weekend or weeklong destination. It’s one of the diamonds that make Mexico such an interesting and wonderful place to visit. Most visitors drive to San Carlos. For quality and affordable Mexico car insurance coverage we usually choose Mexico car insurance from Mex Insurance Store.com. Getting a liability-only policy doesn’t cover other damages done to your car. Also, you’ll get limited medical payments for yourself and to the third party you injured. Your Mexican insurance company has the best guide for any types of entertainment. After all, this is the main reason why most tourists love Mexico – they’re looking for quality entertainment. Caution is necessary not only in Mexico but also in other countries where you want to take a vacation. Learning some safety driving tips will go a long way of travelling safely in Mexico. A Mexico insurance is necessary for every frequent traveler. Read and understand your coverage if you plan to get one for your car. Read your Mexican insurance policy carefully. Make sure it includes sufficiently liability limits, particularly if you’d be touring the different communities of Mexico. You get bilingual assistance from your Mexico insurance if you got involved in a car accident while visiting the country. If need be just ask for someone who speaks English. Mexico insurance includes roadside assistance so you know where to get help in case of radiator blowout. Just say-in. Once you’ve decided to join a happy family vacation in Mexico, remember there are necessary tips to take into consideration.